Over 8,000 published studies now prove…..
…..that the radioactive frequencies coming from electronics in your environment, are hurting you. These “Electromagnetic Frequencies” (or EMF) may be lowering your energy, depressing your mood, and putting you (and children especially) at risk for cancer. Fortunately, you can now clean up the EMF (or electrosmog) in your home, so that it is the healing, peaceful place you’ve always intended it to be. Many of the solutions we’ll share to the problems are easy, and free—and others are very inexpensive! We’ll show you the best, and least expensive, tools to clean up dirty energies in your home and work environment. “Dr. 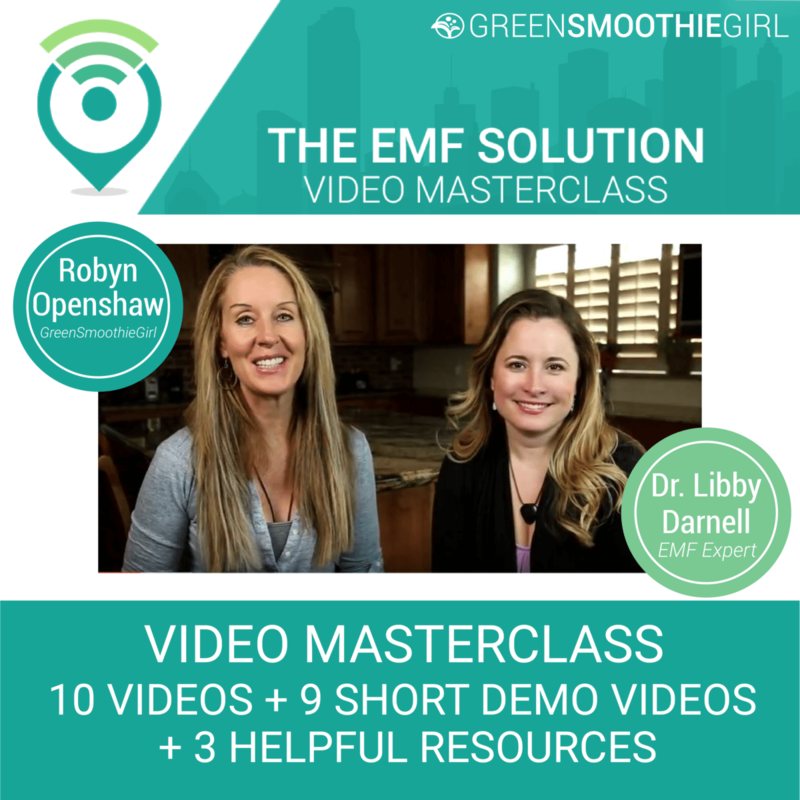 EMF” Libby Darnell and I have come together to create an easy-to-implement video course, to walk you step by step, through all the EMF landmines in your life, and fix them! Dr. Joseph Mercola said in 2017, "We will look back in 20 years and see the massive amount of EMF pollution in our environment as a worse health hazard than indoor smoking used to be." Being in an energy field of steady, clean energies is CRITICAL to your overall health, and sense of well being. And traditional medical doctors are not trained in what to do about this very modern phenomenon, of too much “dirty electricity” in your life. Sometimes, things that make the biggest impact in your health, and even your happiness, are small changes. What are the 6 worst EMF-emitting devices? You’ve never known these common household items are affecting your energy. The 4 items everyone should have! 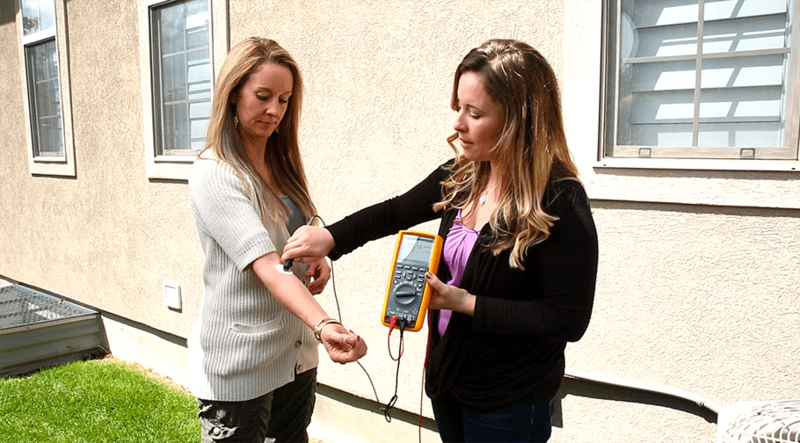 To measure and protect against health-damaging EMF. What kind of lightbulbs you use matters! You’ll be shocked—that the expensive ones you MAY think are healthy, are highest in EMF! What kind of meter the electrical company uses to gauge your energy usage. One type is also one of the scariest forms of radiation, and we coach you on how to get it replaced or block its negative effects. How your cell phone and devices are hurting your health. And 4 things to do about it. How children’s gaming systems are among the worst offenders. Some of them can send radiation two floors up, in your home. We’ll show you what to do. Leaking “dirty electricity” from outlets is easily cleaned up. How to find the hotspots, and easily and measurably decrease this form of EMF by 80% to 90%! How to “ground” and de-stress yourself every day, in just 5 minutes. Decrease your disease risk while feeling better. How to help kids with Attention Deficit Disorder, and protect their developing brain. And how Robyn engages her son to invest in protecting himself from EMF. Four easy ways to protect yourself from EMF while traveling by air. All of them are easy to use, and very important if you travel. 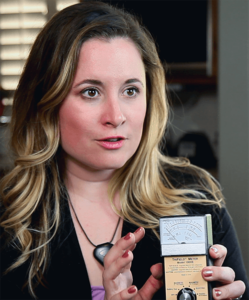 How to tell if you’re “EMF-Sensitive." And what it means, if you are. How to avoid making yourself an “antennae” in your own car! Little-known ways you’re zapping your energy while you drive. How to avoid harming your reproductive and sexual capacity. All with the way you’re using devices. A quick review of the published studies on the effects of EMF on human health And what other countries are doing to protect their citizens! Dr. Darnell solved her own health crisis, by following these steps. She discovered her niece’s devastatingly high-EMF bedroom and school classroom too late to save her from brain cancer. Robyn put these steps into play to help her Attention Deficit Disordered teenager start focusing, learning, and achieving, again! Warning: the U.S. Government, and Western Medicine, won’t help you with these issues. They won’t even educate you about over 8,000 published studies showing you that EMF is putting you at risk. No one is actively protecting us from the cumulative effect of so many electronics, devices, power wires, inefficient power systems, and other buzzing energies in the human energy field. So, it's up to you, to protect you and your family. We're here to help, with 16 informational and demo videos. --and for a short time, the course is 80% off. 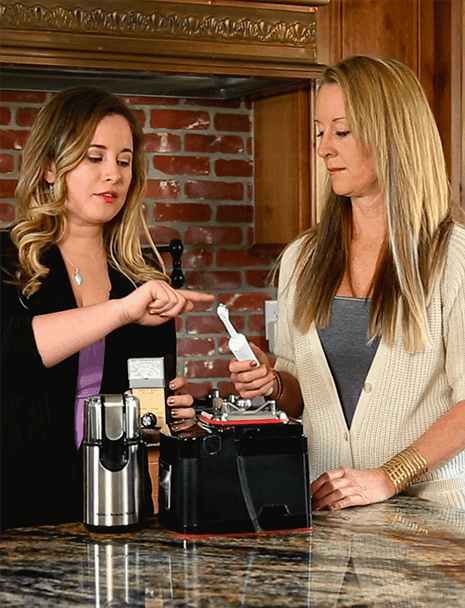 We’ll show you how to begin executing one step at a time, for a quick and easy cleanup of your home and office. Are you ready to start feeling better, sleeping better, and regaining your immune system, TODAY? Changing your settings, your phone plan, and installing a free app can be very helpful! 1. How to watch TV or work on your computer, at night, without “blue light” affecting your melatonin production, and your regenerative, restful sleep! 2. How to let your kids play games on their devices, safely. 3. How to make your home a zone of peace and relaxation. 4. How to achieve the benefits of earthing or grounding, without having to live outside in bare feet. 5. 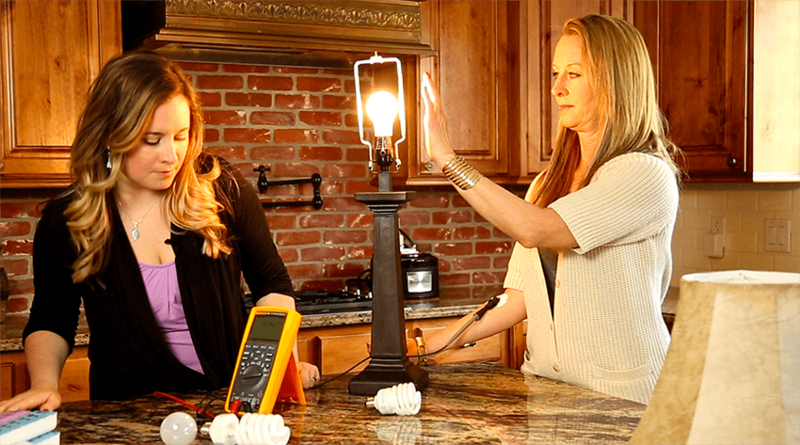 The cheapest and most dependable devices to measure any area for dirty electricity. 6. How to block 100% of EMF at night, for the best sleep of your life. 8. How having metal on your body (underwire bras, jewelry) may be affecting your health. 9. How to use your laptop safely. 10. Four ways to protect yourself from your cell phone (where to charge it, where not to carry it, what settings to use, and what to apply to the cell phone to make it safer). Increased sustainable energy, without stimulants. 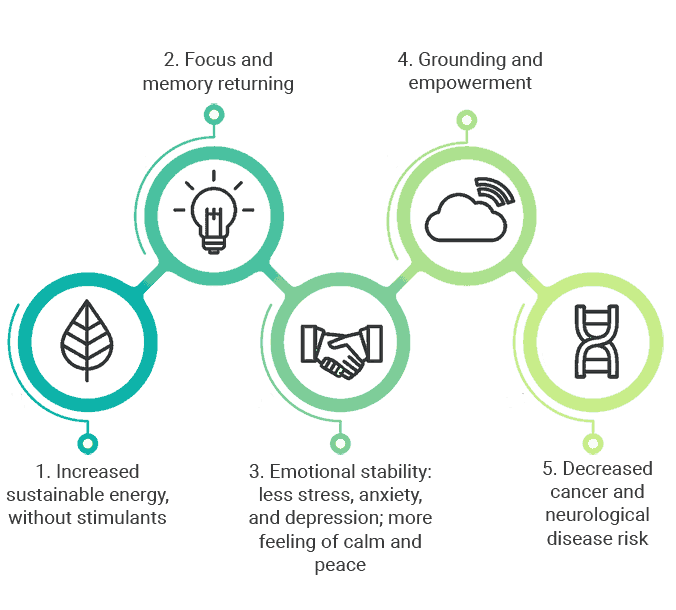 Emotional stability: less stress, anxiety, and depression; more feeling of calm and peace. Decreased cancer and neurological disease risk. This series is great! I've been studying this subject a long time but still learned some new things/developments and Robyn and Dr Libby did an excellent job making this difficult (references often are super technical) topic accessible and actionable. Love it! Thanks and congrats! I just completed the EMF master class. A big thank you to both of them for some tips I had not heard before. Thank you again for continuing to bring the truth and information to all of us! 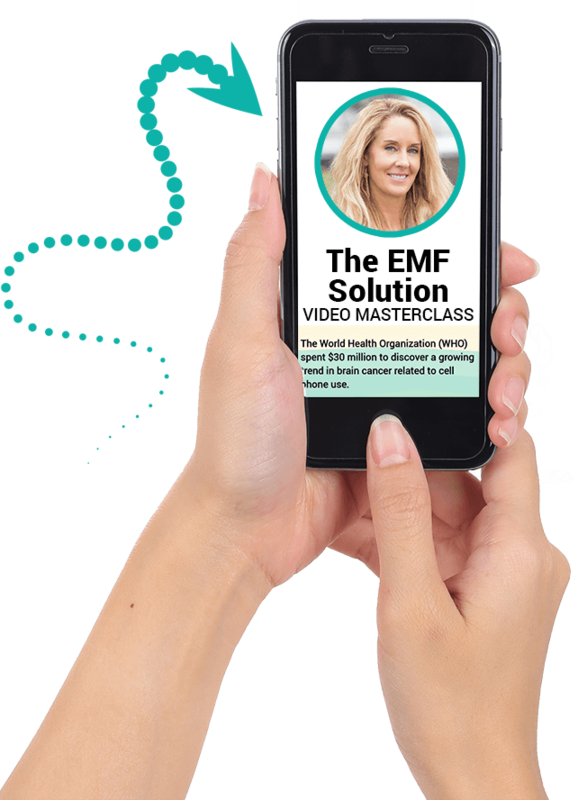 I watched all the EMF masterclass videos and really found them informative. Thank you! The EMF master class... content was excellent. This EMF Protection Course is 80% Off in Our Launch Special…..But It Won’t Be, For Long! These 10 Information Videos and 9 Short Demo Videos are 80% Off for a Short Time Only! Grab Your Course Now, and This Information Is Yours Permanently…To Learn How Clean Environmental Energies Means A Healthy, Happy You!